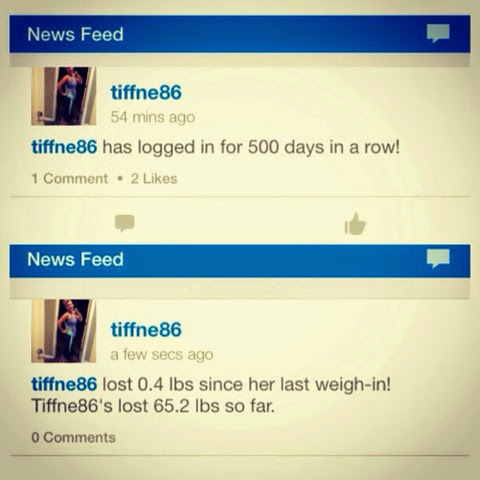 Yes I really have logged into my fitness pal 500 days in a row! 👏🎉 So .4 is my loss for the week. 🙈 I'm trying not to focus on it or let the scale rule me, but it does sometimes 😔 I am trying to focus on my non-scale victories #NSV like the fact that my body feels better, I think I may be toner, my mood is better, my energy is up, and all in all I know I am fueling my body properly. Happy Sunday!